For decades, the late Vincent “the Chin” Gigante was renowned for his methodical efforts to convince the world that he was crazy. Or, if not the world, at least the judges before whom prosecutors sought to convict the well-known crime boss on charges ranging from bribery and racketeering to conspiracy to commit murder. Gigante went to painstaking lengths to convey the appearance that he was mentally ill and therefore incompetent to stand trial, wandering around Greenwich Village in his bathrobe and slippers while either muttering to or having boisterous arguments with himself. (And on occasion, for good measure, scooping up cigarette butts off the sidewalks and trying to smoke them.) While the so-called “oddfather” never received the Oscar that he so richly deserved, he did manage to avoid facing trial for many years before finally being tried and convicted by a jury in connection with a conspiracy to murder a former associate in 1997. Gigante ultimately was forced to admit in 2003 that his decades-long performance was indeed a ruse, and he accordingly pleaded guilty to obstruction of justice. 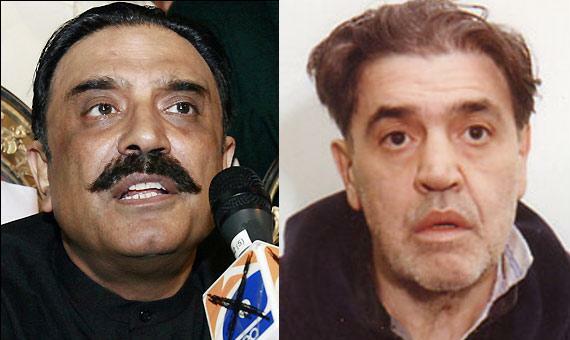 Along the way, dozens of prominent experts offered confident diagnoses asserting that Gigante was in fact mentally ill.
[C]ourt documents filed by Mr Zardari’s doctors suggest he had been diagnosed as suffering from a series of serious conditions including severe depression, dementia and post-traumatic stress disorder. He had even experienced suicidal thoughts…. Zardari could remember neither the birthdays of his wife and children, nor more than a handful of facts from two short stories he was read. “He had difficulty focusing, concentrating and paying attention, is persistently sad, chronically anxious and apprehensive. He stated that he has had suicidal thoughts, but has not made any suicide gestures,” Mr. Reich wrote. Almost a year and a half later, the revelations about Zardari’s court filings place him in a bit of a quandry. On the one hand, as with Gigante before him, the opinions offered by Zardari’s experts may have helped fend off some of the many court cases around the world charging him with corruption and fraud. On the other hand, in the aftermath of Pervez Musharraf’s resignation, Zardari now wants to become president of Pakistan himself, and is the presumptive nominee for that office of his party and, apparently, of the Bush administration, which has rather clumsily dropped whatever pretense of neutrality it had left. Of course, one might readily believe that having a touch of the crazy is a time-honored prerequisite to holding high political office. However, the Pakistan Constitution does not permit an individual to become president if he or she has been “declared by a competent court to be of unsound mind,” and authorizes removal of the president on the ground of “mental incapacity.” Even in the absence of any formal court order declaring him of “unsound mind,” therefore, Zardari may have placed himself in the somewhat awkward position of having rendered himself potentially removable — through his very own defense strategy — from the moment he is sworn into office. And the mixed messages continue. Last week, Zardari told Newsweek that he “personally [is] in favor of the chief justice, but there is a position in the party, which says that he has become too politicized in the last many months and he has been leading rallies.” This week, by contrast, Zardari cryptically said that “perhaps [he] cannot reveal the whole truth to the nation” about why he has been unwilling to move forward with the reinstatement of all of the ousted judges. Zardari also was reported to have suggested that a coalition partner, the Awami National Party, supported him in opposing restoration of all of the ousted judges, but later was forced to “clarify” that statement through a party spokesperson after the ANP protested to the contrary that they have consistently supported restoration of all of the ousted judges. In the aftermath of the February elections, Zardari was hailed by many as a statesman for his role in building a broad coalition aimed at national reconciliation — and for being able to do so only weeks after mourning his wife’s death. With respect to the judiciary, however, more recent reviews of Zardari’s performance have been decidedly less favorable. Reports have consistently indicated that the principal source of Zardari’s reluctance to permit reinstatement of all of the judges ousted by Musharraf — and his reluctance, in particular, to see the Chief Justice return to office — is a fear that independent judges might permit the corruption charges against him to go forward. (Pressure from the Bush administration not to restore the judges could well be another factor.) However, Zardari’s own experience suggests that perhaps he has nothing to fear from an independent judiciary at all. Maybe he simply needs to press his legal and medical experts back into service, and to invest in a nice bathrobe and a comfortable pair of slippers.